A small team headed off to Loch Fyne on a fine spring day. Arriving in good time at Furnace quarry we were surprised to see that the car park was almost full with a large group from a Glasgow dive centre. So while they held their pre dive briefing we nipped in to enjoy good vis before it was stirred up. 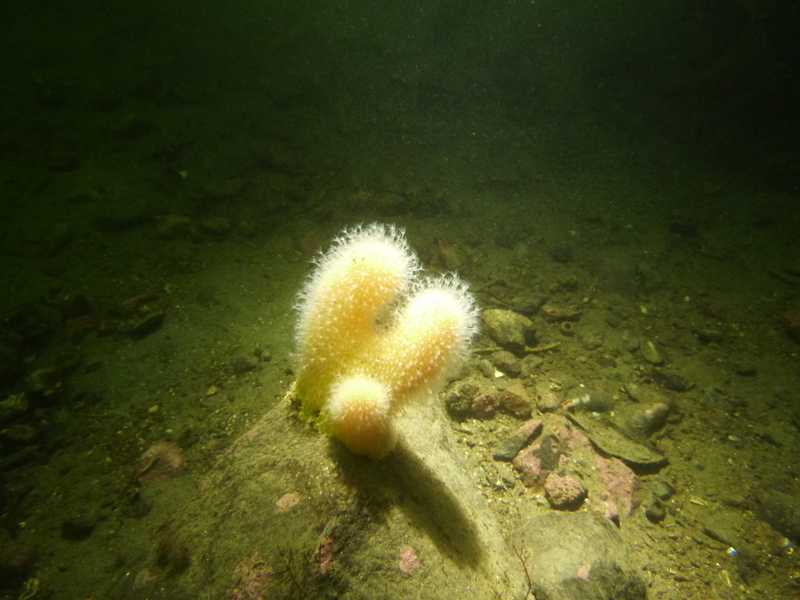 A slow descent to the base of the boulders, checking buoyancy as we went saw few of the dogfish found previously to be in residence, though we did find one that provided some entertainment. 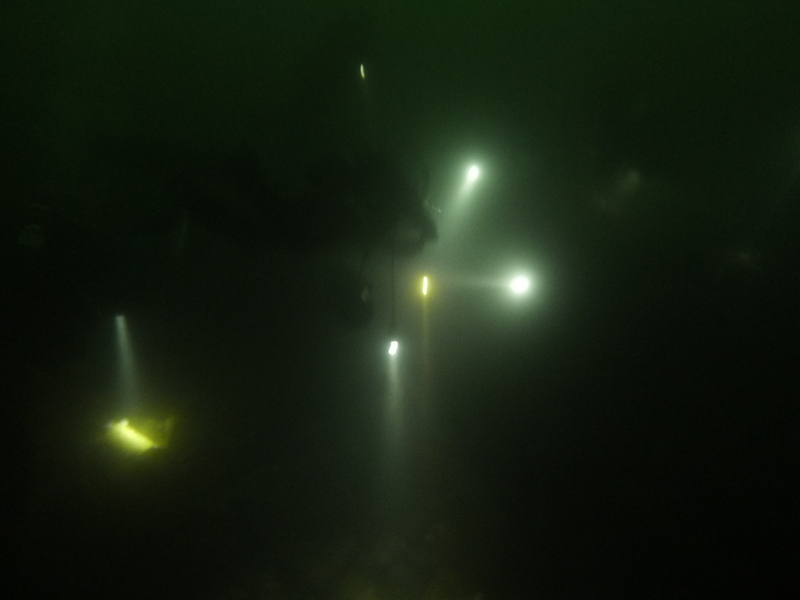 The dive school had by now traversed in above us and we had multiple torches shining down on us as we traverse upwards through them. Half tanks saw us start the return journey and we drifted with the current back to the starting point choosing a slightly lower depth than our dive centre friends who were by now shoaling together. Back on dry land we opted for a quieter or at least a different dive location and drove round to the Bistro where another full car park boded no good. As it turned out half of these divers were training in the bay and the other half were on the outer reef so apart from a solo diver we didn’t see anyone whilst in the water. The profile was a typical one, along the outside reef and then back on the inside one and finishing off across the bay to exit close to the walkway. A very enjoyable day which culminated in The George where congratulations went to Colin on recording a numerically memorable dive which was a wee cracker.